The workshop aims to introduce those interested in landscape evolution and source to sink problems to a new open-source code: Badlands. Note that you do not have to be a seasoned modeller to participate. Geomorphologists, tectonicists and sedimentologists interested in testing conceptual models based on field observations are welcome! 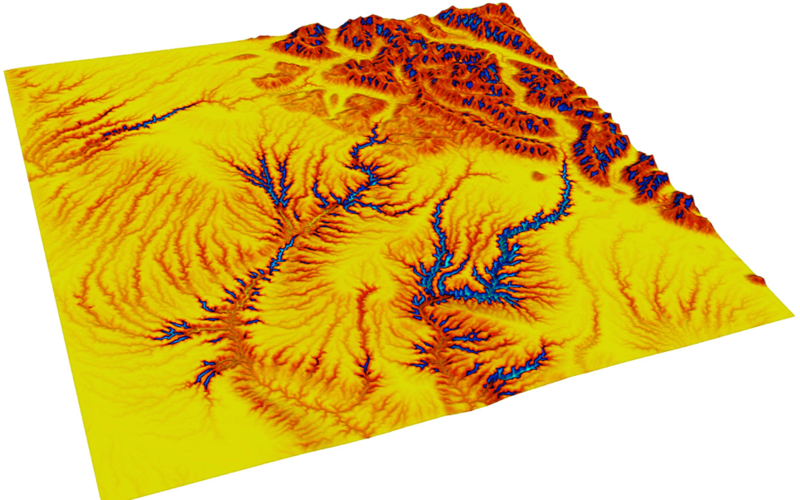 Basin and Landscape Dynamics (Badlands) is a landscape evolution model, built to simulate topography development at various space and time scales. The model is capable of simulating hillslope processes, fluvial incision (‘modified’ Stream Power Law, Transport Capacity Law both for sediment erosion/transport/deposition), spatially and temporally varying geodynamic (horizontal + vertical displacements) and climatic forces which can be used to simulate changes in base level, as well as effects of climate changes or sea-level fluctuations. In addition the model can solve elastic plate flexure problems. NB: You will need to bring your own laptop to the workshop. Places are limited to 20. First come, first served. Registration is binding.